On s’est rencontrés cet été à Genève entre (futurs) « nomades digitaux » et « entrepreneurs voyageurs ». J’ai lancé l’idée un peu au hasard, histoire de voir qui viendrait. Le résultat? 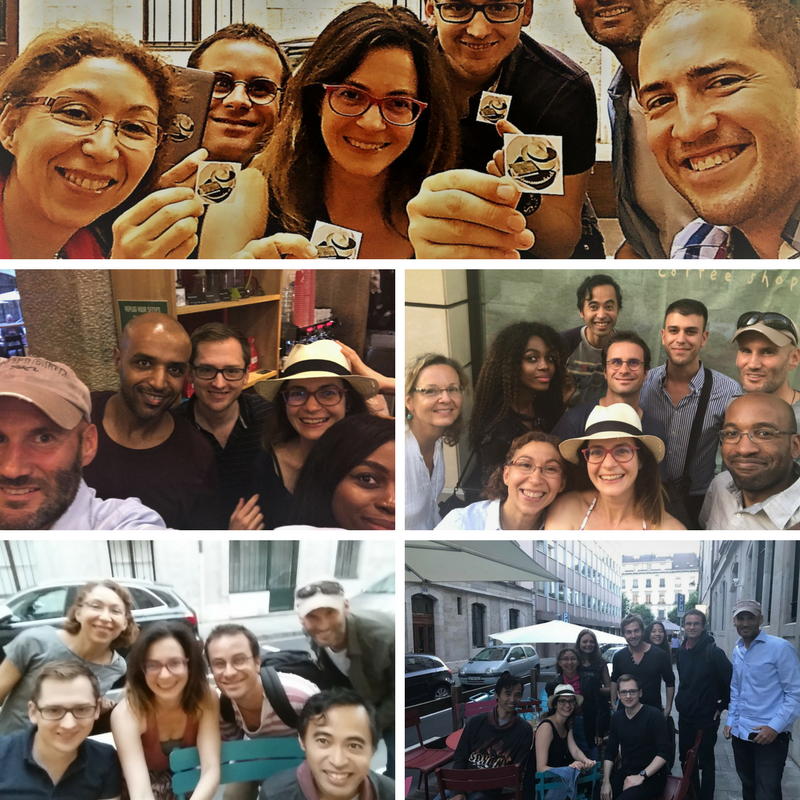 Des meetups avec parfois 15 personnes et toujours des échanges enrichissants, beaucoup d’énergie positive, de nouvelles collaborations et des masterminds spontanés. Just wanted to say thank you for yesterday. You gave me so much positive energy 😊 Thank you Xenia for putting together such an amazing group of people! As an entrepreneur you often feel like going against the tide. Thanks to Xenia, I met incredible people that just like me want to live life on their own terms. I’m not alone anymore. It’s amazing how much we’ve changed since this meetup started :-). « Great minds think alike »…. It’s fantastic to meet great people like you all. Special thanks to Xenia for being at the origin of it. I met great people during the meetups, bringing lots of great ideas. Sharing this positive mindset, getting to know the digital nomad lifestyle and masterminding with you all helped me in growing my own business, Aloetis. I thank Xenia for bringing such a great energy. Six months of having met the group organised by Xenia has completely changed me as a person. Thanks to everyone for allowing me to be part of each one of YOU and for making great moments happen with YOU ; and especially Xenia for being such a genius to have created such an awesome group!! Thank you Xenia for organising this amazing digital nomads’ meetup. I met dynamic people who wanted to be the creators of their life.